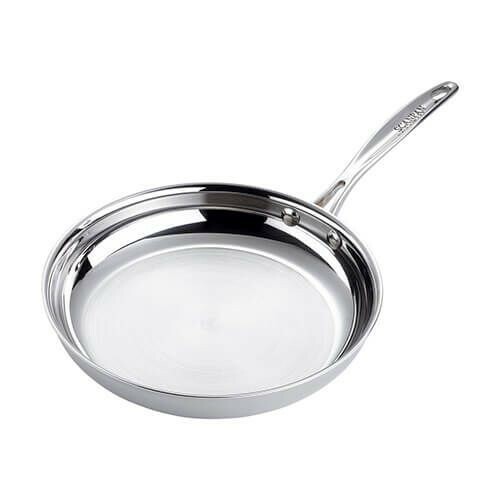 The Scanpan Fusion 5 24cm Frying Pan has a 5-layer construction comprising an 18/10 stainless steel outer with an aluminium core. 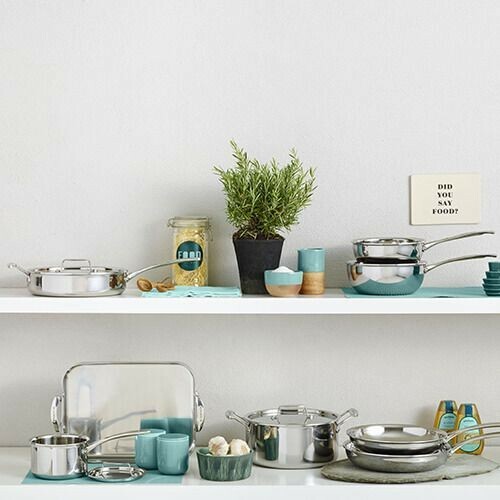 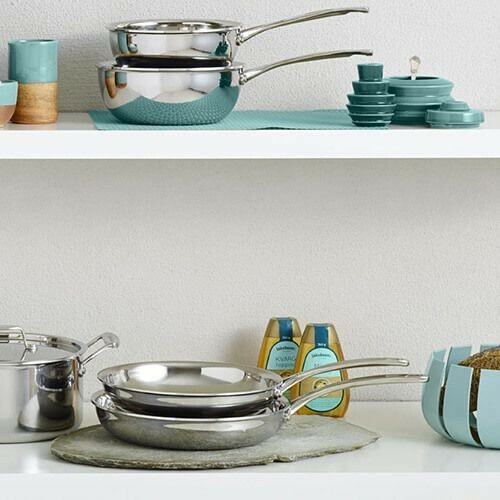 The mirror-polished finish will look good in any style of kitchen and details such as drip-free pouring rims and cast stainless steel handles set this range apart from the competition. 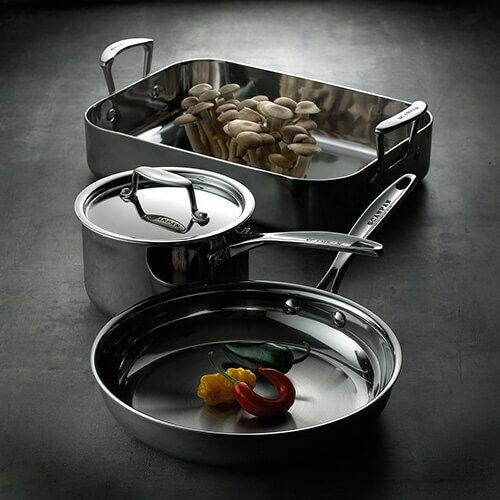 This 24cm stainless steel frying pan stands approximately 8.4cm high and has a base diameter of 16.4cm.